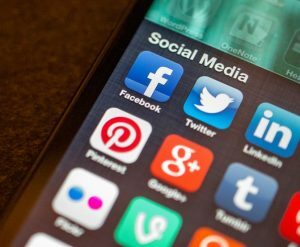 Whenever you decide to start doing digital marketing for your business you will face one issue – where to start. Digital marketing has evolved to such an extent that there is no limitation to the number of approaches that you can use. From organic search to paid channels to growth hacking there is so much that you can try. But nobody can possibly have a strong presence on all the marketing channels and you don’t need to do that either. Every digital marketing channel needs you to invest time, capital and human effort. If you don’t plan your approach properly you might end up wasting a lot of resources. In this article, we will discuss why and how you should decide the right marketing channels for your business. According to MarketingProfs, 2 million blog posts are written every day. Additionally, there are more than 350,000 tweets per minute. With so many marketers creating content there is a lot of it out there. In order to stand out from your competition, you need to nail it down on the marketing channels of your choice. Because of the amount of effort needed to specialize in a channel, it is best to be as specific as possible. Here we will discuss the most popular digital marketing channels and how you should choose the ones that are apt for your business. PPC stands for pay-per-click marketing. Basically it is the practice of buying visitors to your site by paying for every link clicked. Google Adwords is most popular bidding platform for managing PPC campaigns for Google search engine. Pay per click marketing is very effective as you only pay for targeted visits based on the keywords you choose. PPC is highly effective when you need quick results and don’t have time or resources to spend on long-term marketing strategies. Facebook is a highly versatile social media channel with people from all age groups found in one place. It is also one of the cheapest social media channels for paid advertising making it an ideal choice for beginners. It is also one the most cost-effective channel for re-marketing. Twitter is an ideal choice for branding. With the help of hashtags and mentions, it is easy to get traction with quirky content. But Twitter needs quality time to be spent on it. In order to get noticed, you will need to tweet approx. 5 times in a day and engage with replies, industry influencers, and even competitors. Both Instagram and Pinterest are social media networks for image sharing and branding. Instagram is mostly about creating and sharing photos with your followers while Pinterest is about discovering and curating visual content. Based on your customer’s demographics you can choose either one of these. LinkedIn is the network for B2B businesses. It is highly effective for generating leads and finding the right talent. If your’s is a B2B business then a strong LinkedIn is an obvious choice. Keep a strong eye on your personal profile on LinkedIn because that is what will really attract business. Blogging is the most crucial part of any content marketing initiative. When you choose to create an inbound marketing strategy, blogging will be the first thing to come to mind. Blogging aims at attracting your ideal buyers by providing content that solves their problems. Then you perform permission-based marketing by asking them for their emails and delivering them relevant information. 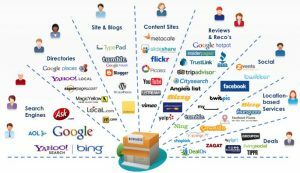 This establishes you as an authority in your niche and improves your online visibility. Read More: How to create a content plan for business? The website is an indispensable part of your digital marketing strategy. It is the most important and recognized digital touchpoint which is easily accessible by everyone. It is important to increase your website visibility both through social media and organic search. There are over 100 billion searches on Google every month. With the help of search engine optimization, you can get your site ranked in the top search results. This can attract many leads to your site. Organic search is an effective long-term marketing strategy provided you rank for relevant keywords. Frown if you want to but direct mail is still used as a marketing channel. The only concern is that its effectiveness has reduced over a period of time. If you want to use direct emails in as one of your digital marketing channel then make sure that you keep it as personalized as possible. Make it about the receiver and limit your self-promotion. If used properly direct mail can easily help you generate quality leads. You can use tools like Hunter for extracting emails and automation tools like MailChimp to send bulk automated mails. Display advertising is the use of visual content like videos and images for marketing on display networks. A display network is a network of sites that agree to display ads to their audience. Currently, there are 3 primary display networks – Google Display Network, Facebook Audience Network and Twitter Audience Platform. Each of these has a wide audience and the choice depends upon individual business. This is a highly cost-effective marketing channel due to the human preference for visual content over text. Well, this one seems obvious, doesn’t it? The choice of marketing channels depends upon the presence of your ideal buyers. You need to focus on only those channels that are relevant to your business. Do remember that choosing marketing channels shouldn’t be done hastily. Give this activity the research it needs. Understand your buyer’s demographics, know their preferences, where they spend time etc to find the answers to your questions. Any other step shall only help you prioritize among different marketing channels. The ultimate choice only depends on the preference of your buyers. Your goals have an important say in your choice of digital marketing channels. You need to identify your business needs and formulate long-term and short-term goals. For example is your long-term goal is to increase revenue by 20% in the next two years. Then you should have short-term goals like generate 400 sales qualified leads within first 6 months. Increase website traffic by 70% in 8 months etc. You need to set up small milestones to reach the ultimate aim. Then you need to prioritize the choice based on your goals. For instance, Adwords is a better choice for short-term lead generation than SEO because optimizing for organic search takes more time. Your budget plays an important role in choosing the right marketing channels. Each channel will need you to invest some money whether it is a paid or organic. Once you identify your budget you will need to prioritize marketing channels based on the budget available to you. Don’t make the common mistake of thinking that organic traction is free. Whether it is social media or search engine you are paying someone to manage these activities. These should never be excluded from marketing estimates. What skills your team has should be given due importance while considering any digital marketing channel. According to Hubspot, 16% markers consider hiring top talent as the most difficult inbound challenge. Talent acquisition is often an underrated effort – something that people ignore by default. What if you choose SEO as a primary way to attract visitors but your marketer specializes in social media marketing. Every marketing channel needs specialized skills and knowledge to be leveraged effectively. If you have a goal to increase organic traffic by a certain percent in 3 months and it takes you 4 months to find an SEO expert, then you plan is it pretty much screwed. Thus, it is advisable to initially prioritize on channels that you can target with your present marketers’ skills. You can always broaden scope later. Businesses are rapidly moving towards digital marketing and there are good reasons to do so. If your customer is online then you need to be there as well. With so many possible ways of approaching customers online, it is becoming more and more difficult to choose the right channels. 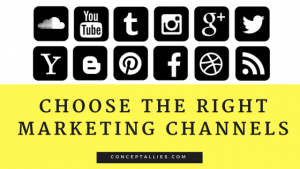 This approach to choosing the right digital marketing channels is exactly what you need to start with online marketing. If you are looking for specialized advice and market research for your business then feel free to contact me and I will be happy to help you out. Great article indeed. You have explored all the digital channels but I guess you have missed one more “Affiliate Marketing”. Affiliate marketing can be very useful if we talk about saas businesses. Most of the time local business with no digital marketing exposure make mistake by choosing the wrong digital marketing channel which only costs them time and money. It’s the necessary and most important step before starting digital marketing journey for any business. Digital Marketing has always provided the firm and steady ground for the growth of numerous businesses. It comes with numerous marketing avenues to go for and its methods to try. The methods which can be undoubtedly the secret strategies to give a back thrust to your business. Nowadays, due to the availability of advanced technical podiums, it is easier for you to market your own small business online. Thanks Yogesh for writing such a good article on Digital marketing concept. I am looking to try these techniques for my website birchi.in People always try direct method but most of time these trick don’t works. Your tips are helpful for the person to make good blog marketing for their websites or blog. This content is so valuable and surely unique that people are happy and really helpful for them. there is no any other ways to get customers than email Marketing and no any pressure from your side, neither in the form of request nor hint or reminder in any ways.